Pre-heat waffle iron while mixing up the following: In a medium-sized bowl, stir together the egg, milk, vanilla, sugar, cinnamon and salt. Spread butter very thinly over each side bread. Dip bread into egg mixture, making sure that both sides of the bread are completely soaked. 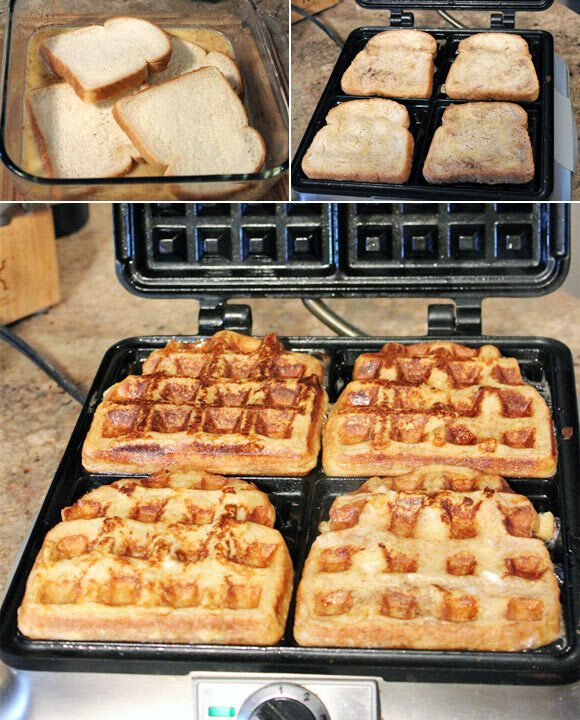 Place as many slices as will fit - not overlapping onto the waffle iron. 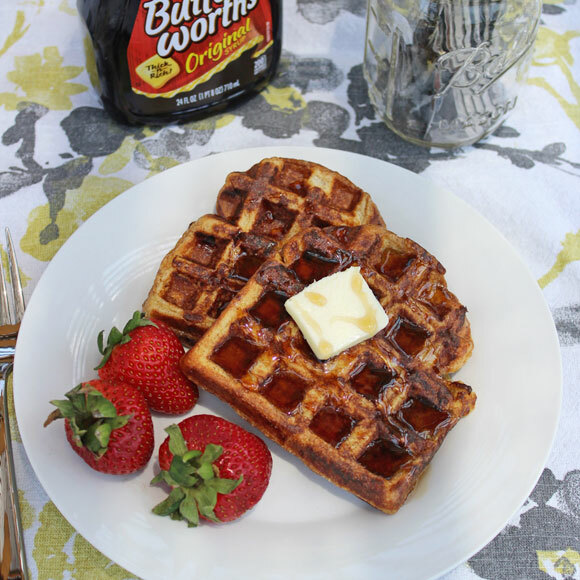 Cook on your waffle makers medium-high setting (I use a setting of 4 out of 6). This recipe can easily be double and tripled. French toast and waffles together! The best of both worlds! Recipe number 447. Submitted 9/13/2002.